Interested buyers will receive information about your home in the form of custom made brochures, postcards, flyers and e-blasts all using the best photography. Your home advertised in top local and global publications. 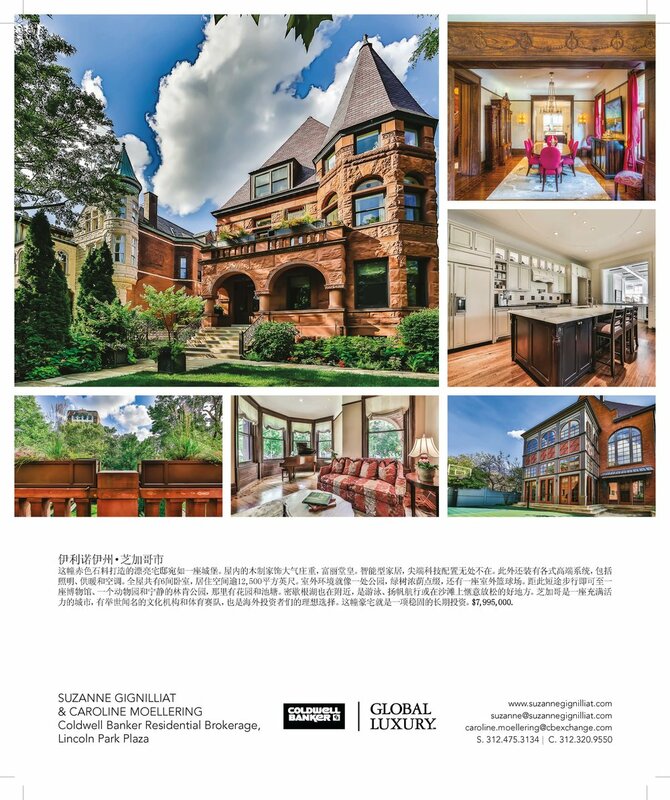 Chicago Magazine, Ultimate Address, Sophisticated Living, The View, Chicago Social, and the Coldwell Banker Homes magazine in the Wall Street Journal. Need a lawyer? A lender? Movers? Suzanne knows the best people to help.